A black baby sitter in Georgia has claimed cops were called on him over the fact that he had two white children in his care. 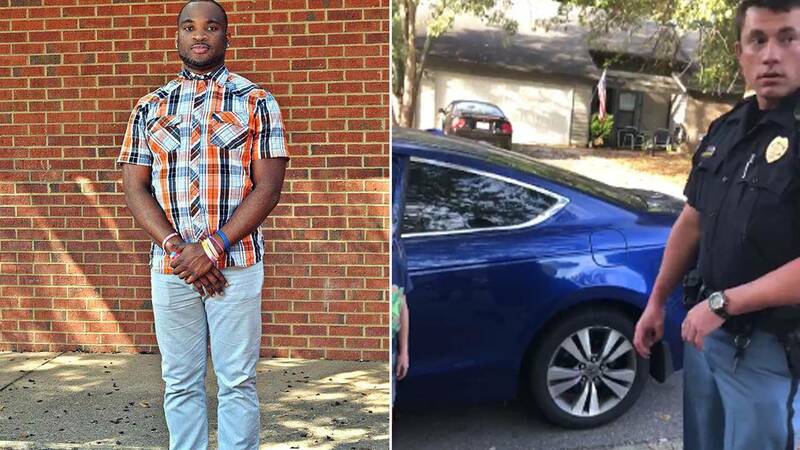 Corey Lewis said he was in the parking lot of a Cobb County Walmart Sunday when he noticed a white woman watching him and the two children, ages 6 and 10, whom he was baby-sitting. “She pulls around to the car and she asks, ‘Are the kids alright?’ I said, ‘Why wouldn’t they be?’” Lewis told InsideEdition.com. “She gave a shoulder shrug. She left and then she came back … and said, ‘Can I speak to the little girl and ask her if she knows who you are?’ I said, 'No.'" He said the unidentified woman then informed him she was going to take down his license plate number. Lewis said he thought the encounter was over until he went to a nearby gas station and noticed the woman was following him. That’s when he began recording on Facebook Live. The woman allegedly followed Lewis home and apparently called police. In a video shared of the moment, a police officer questions the children about how they know Lewis. While Lewis understands the officer was just doing his job, he was emotional about the situation. “This random lady is trying to assassinate my character based off her assumptions and judgments,” Lewis said. Lewis, who works with children, was baby-sitting one of the children involved in his after-school program, “Inspired by Lewis” and the child’s sister. The children’s parents were not pleased when they heard what happened and said Lewis was only questioned because he was driving around two white children. “B-W-B is the new thing, baby-sitting while black,” David Parker, the children’s father, told WSMV. Walmart did not respond to InsideEdition.com’s request for comment.